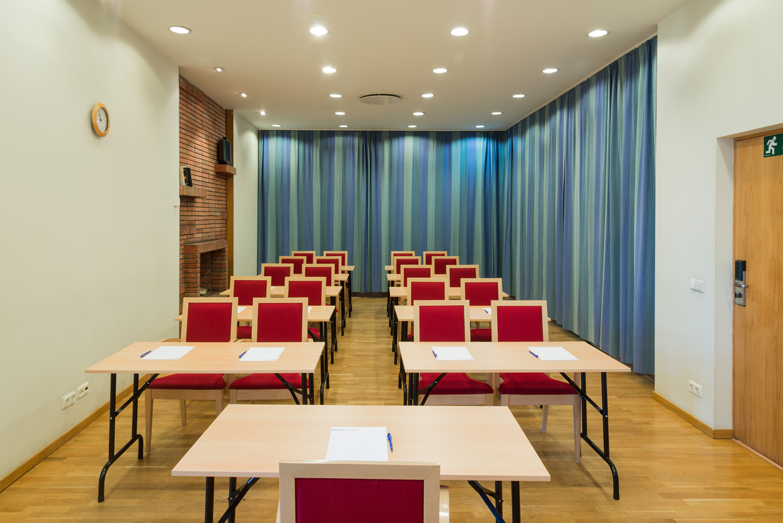 Neringa Hotel is equipped with a mode conference room for 50 people. 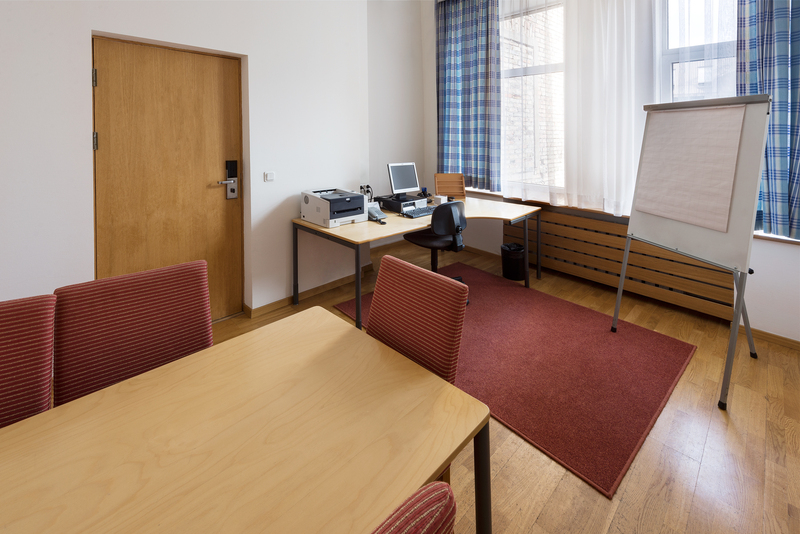 The cozy and bright conference room has everything needed for a successful meeting. It fits perfectly for an official business meeting or an informal company training. 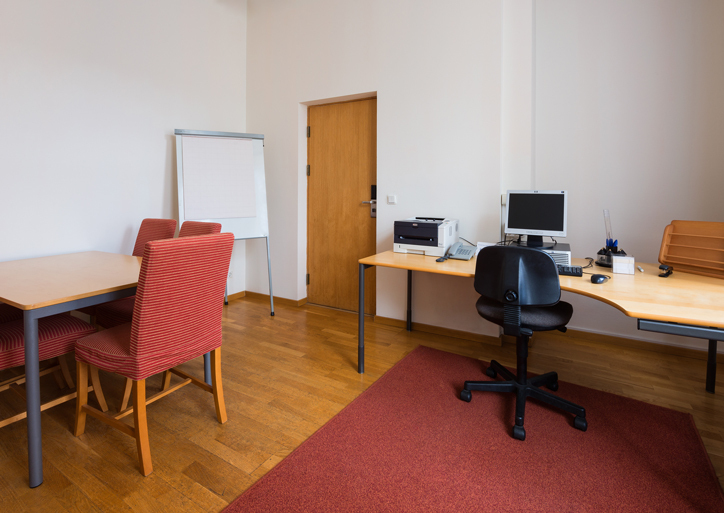 Our conference facility has a separate room for coffee breaks – that allows you to have a meeting in a total privacy. Most options of media and Wi-Fi Internet are available for free. 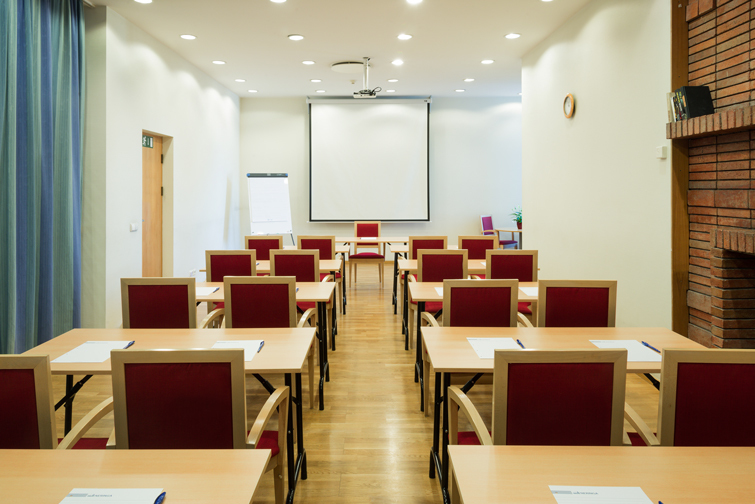 Rent our conference and meetings facilities or inquire more detailed information by contacting our managers.